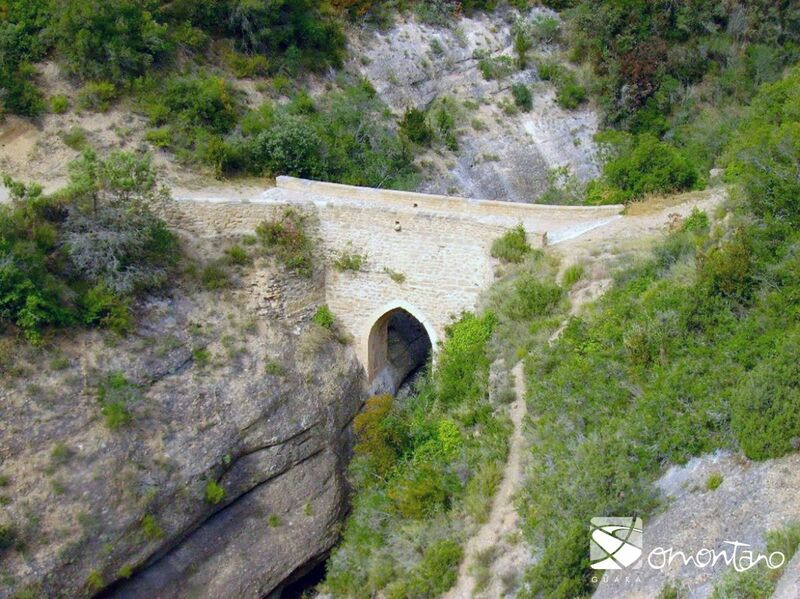 With foundations anchoring it to both sides of the Fornocal canyon, this bridge was built to connect the villages of Asque and Colungo. Its spectacular location highlights the risks and difficulties associated with its construction, and because of this many legends attribute it to the work of the Devil. 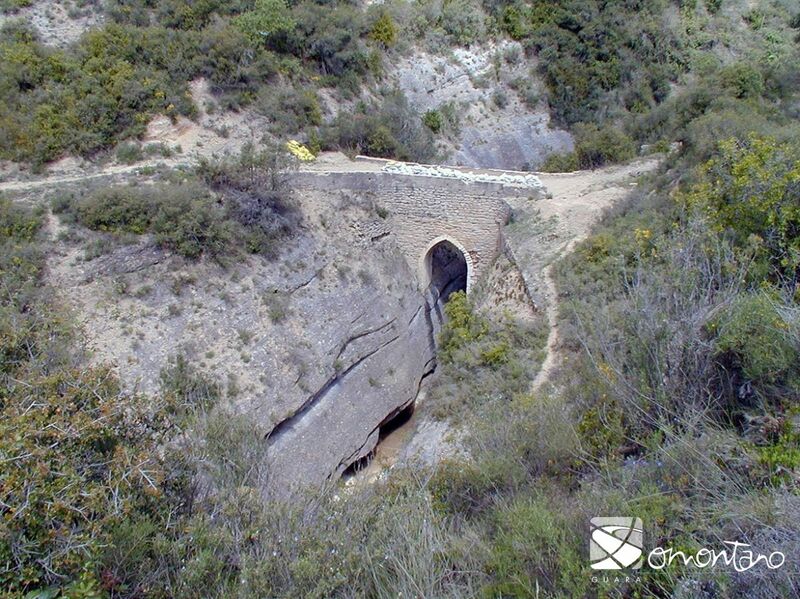 However others explain that the name, “The Devil’s Bridge,” makes reference to the fact that the Devil passed over it while the mortar was still fresh and left his footprint to finish off the work. The footprint in question does not belong to a dog, deer or wild boar, so it must have been left by the devil. The question is, was he on his way from Colungo to Asque or Asque to Colungo? The bridge is probably medieval in origin. Its deck is flat, almost 3 metres wide, and rests on a lancet arch made with small, perfectly made voussoirs. The rest of the construction is masonry. The pointed arch was a later addition as there are still remains of an older, semicircular arch. The unusual distance between the bridge’s parapet and the arch is explained by the fact that the facings have been renovated on several occasions. Spring brings the arrival of a blanket of spectacular flowery stems that reach as high as 60 cm tall on the calcareous, conglomerate walls of the canyon. These flowers are known as the King’s Crown, Saxifraga longifolia, whose base rosette of leaves that give rise to the stem dies soon after flowering.